To ensure that your home stands out from the rest and attracts more buyers, you need to consider various important factors as you prepare it for sale. This process can be invasive and intimidating as you may feel that potential buyers will look at every tiny detail of your property. After you have done all the necessary repairs, your house will need a home inspection. The outcome of a home inspection will significantly influence the decision of your prospective buyer and the negotiations of the sale of your property. Therefore, if you want your house to sell at the highest possible price, you should know the process and importance of home inspection. You need to effectively prepare your home as the inspection report may jeopardize the entire sale. Should I Get a Pre-Inspection? Who Orders and Pays for the Inspections? What Kind of Inspections are Done? How Do I Prepare the House for Inspections? Should I Be Home for the Inspections? A home inspection is an exhaustive, objective visual assessment of the physical structures and systems of a real estate property, including the roof, foundation, and garage. A home inspector evaluates the condition of the roof, plumbing, water and sewage, heating and cooling systems, electrical work, as well as fire and safety issues. The inspector also looks for evidence of damage caused by various agents, such as water, fire, or insect. A home inspection is usually accompanied by two documents, namely an inspection report and a pre-inspection agreement. Potential buyers usually hire qualified and trained home inspectors to assess the home and give them a written report detailing the condition of the property. This report should also note potentially costly issues, such as maintenance concerns as well as the essential and recommended repairs. With these findings, the home buyer can then make a qualified decision about the buying price of the property for sale. Conducting a home inspection before purchasing the property helps the buyer avoid several potential issues with their newly acquired home. If you want to successfully sell your home at a great price, the most important tool is to hire your own inspector before you put your property up for sale. 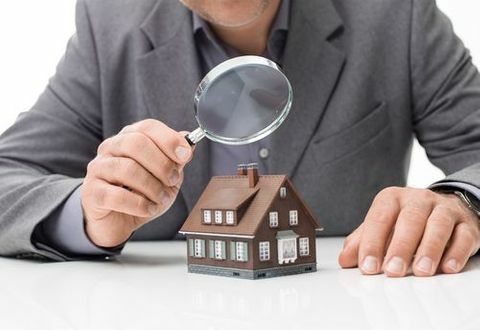 During the pre-inspection process, your inspector will check everything in the house in the same way as the inspector of the prospective buyer will. Your inspector will warn you of the blind spots that you may have missed, and you will have enough time to fix them before you put your property up for sale. Even though this process may seem invasive, it is essential if you want to boost the value of your property as it will make your home doubly prepared for purchase. However, you should note that no property is perfect, and even your inspector may overlook some tiny details. Most sellers under-estimate the value of pre-inspection. A pre-inspection is likely to eventually save them money, reduce the risk of a collapsed sale, eliminate buyer misinterpretation on how you maintain your house, and boost buyer’s confidence in purchasing your home, as discussed below. Doing a pre-inspection makes you confident of letting the buyer’s inspector evaluate your property. You will be almost sure that the buyer will not find something that may make the buyer walk away. If you do not order an inspection, the buyer’s inspector may find certain deal breakers, which will force you to put your property back on the market for sale. Moreover, it may force you to accept a lower price as the buyer would need to do some house repair and maintenance to bring the house to its desired condition. Therefore, pre-inspection will save you a lot of worries while the buyer assesses your home. Pre-inspection lets you know what needs to be fixed in your home to make it more appealing to the buyers. If you fix the problems discovered during pre-inspection, you will keep your buyer from walking away, which would save you money. It is worth noting that if the first buyer declines to purchase your property, its price is likely to drop in the next listing. In case the buyer chooses to accept the home with its current flaws, you will also be forced to sell it at a lower price. If a buyer finds several small things that need to be fixed, they may infer that you poorly maintained your house. Moreover, buyers get scared of the unknown if they find major flaws such as a leak. Therefore, a pre-inspection will help you fix such items to avoid these difficult situations and make you confident that the buyer will not think that your property is poorly maintained. 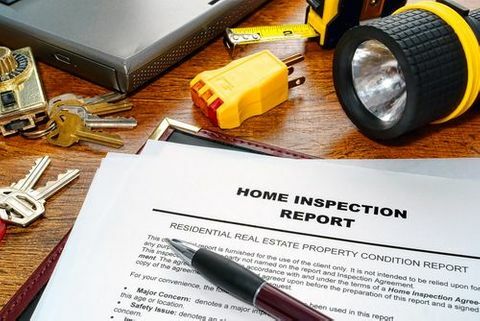 In case you do a pre-inspection, and its report is clean, you can leave the report on the table for the buyer and their inspector to see when they visit for their inspection. When the buyers view the report, they will be confident in offering for your property as they will see that the home is in a good state. In case the pre-inspection results were poor, you should fix the house and invite your inspector to update the report. The person who benefits most from the inspection is the one who pays for the service. You will pay for the pre-inspection. However, for the main home inspection before the purchase (buyer’s inspection), the buyer pays for the service. It is worth noting that the home inspection is the buyers’ insurance policy for the home they are purchasing as they ensure that it meets their expectations. You may need to cover the cost of a home inspection if the contract states that the seller is to pay for an inspection, although the responsibility for paying for the service typically falls on the home buyer. Home inspectors typically look for various signs of defects and damages. When an inspector spots a flaw or anything lying outside their scope of expertise, they will recommend you seek specialists to fix the problem. That said, below are some of the inspections that are done on your home. Structural Items: Your home can be checked for several problems depending on the type of inspection you want to be done. Basically, structural items, such as attic, ceilings, walls, roof, and floors are checked. In case your house has a basement, it is assessed for leakages and to ensure that it has desired supports. If the buyer is concerned about the foundation of the house, they need to hire a structural engineer to inspect it. Electrical Works: Home inspectors view the condition of the electrical box, and whether it is obsolete or complies with the city’s code. If it is old, you should replace it. The grounding, electrical panels, and circuit breakers are also checked. Apart from that, inspectors also evaluate individual electrical appliances, such as light fixtures, stove and range, ceiling fans, and garbage disposals. Inspectors also check whether the smoke detectors operate as required. Chimney: A chimney inspector checks to see if the chimney has flue liners or crumbling interior brickwork. They also ensure that the cap is in good condition and the smoke is properly discharged. Heating and Cooling Systems: Inspectors may recommend an HVAC specialist if your air conditioning system does not function appropriately. It is worth noting that a poorly ventilated furnace presents a fire hazard. Plumbing and Water System: Inspectors check pipes, water heaters, water shutoff, toilets, tubs, and showers to make sure they are in a desirable state. To prepare your home for an inspection, you’ll want to make sure everything is clear and organized so that the inspector has no trouble reaching areas that are included in the inspection. Below are some suggested steps to include when you’re preparing for the inspections. You may want to consult with your real estate agent to see what they recommend, as well. You should double-check all the repairs made recently to ensure that everything is in place and working correctly. You need to go around the house to confirm that you have covered all the ground and the garage. Remember that any problem an inspector or buyer sees reduces the value of your house. Therefore, you should be diligent while double-checking your repairs. Though your home is already clean, you’ll want to make sure you touch up areas that sometimes get neglected. Replace air filters, check batteries in devices that require them (such as smoke detectors), and ensure that appliances are free of items. It’s a good idea to make sure the dish washer, washing machine, and the dryer are empty if an appliance check is part of your inspection list. This may be a good time to pack away unneeded items and prepare for the coming move. Having a home that is easy for the inspector to navigate speeds the process and makes it easier for them to focus on the inspection. Remove items that may be blocking central air units, hot water heaters, and other places the inspector will need to go. This should include anything outside that will need attention, basements, and attics. Home inspectors usually turn on stoves, run dishwashers, and test the furnaces and air conditioning systems. Because of this, you should leave the utilities on for inspection. Otherwise, you will bar the inspectors from checking receptacles for grounding as well as reversing polarity if your power is off. As a result, they may have to reschedule the inspection. Home inspection is a thorough process as everything, including the appliances that are not listed in the property sale, is inspected. Therefore, leaving all gates, doors, utility boxes, and sheds unlocked and accessible enhances the process as it will save a lot of time and make the inspection process faster and efficient. When give a full access to your property, you will prevent delays that may make the potential buyers impatient. After getting your home ready for inspection, you’ll want to have plans to do something away from home. It’s not unusual for a buyer to walk through with the inspector when they are completing an inspection. This is the perfect time for them to ask questions, and they may feel inhibited if you are present. If you have pets, you’ll want to make sure they are safely enjoying time elsewhere. This is for the safety and comfort of your pet as much as the people who are visiting your home. Unfamiliar people in the home can create stress for your beloved pets. Take them with you for the 3-4 hours an inspection may take, or make plans to have them at a friends house or pet spa for the day. 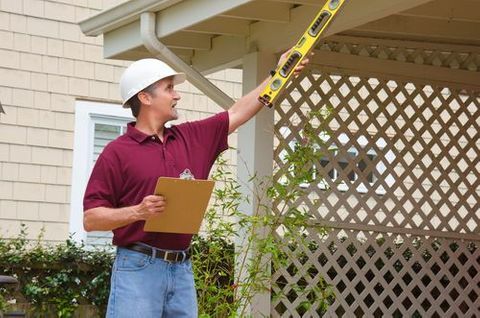 Home inspection is a vital process for both the buyers and sellers of the house. It is worth noting that the inspector’s statements during and after the process significantly influences the buyer’s decisions. Your real estate agent can be available for answering questions that are submitted by the buyer’s agent. Real estate agents know the selling points and deal breakers of homes. 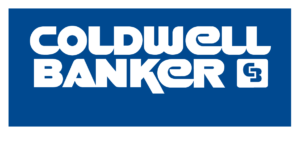 As an independent home seller, you may overlook certain aspects that can result in buyer walking away from buying your house. Therefore, if you involve an agency, it is likely to guide you to prepare your home for inspection and ensure that you get the best deal. To ensure that your home stands out from the rest and attracts more buyers, you should consider the importance of a home inspection. Learn more here!